Two right little madams here, Stepsisters are by Mo Manning and can be purchased here. I teamed them with a Stampin Up paper a couple for roses and a Spellbinders frame die and coloured with Copic Markers. 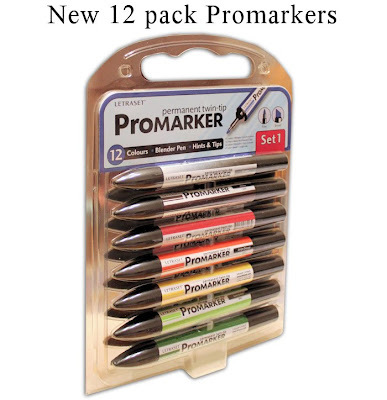 I have a new 12 pack of Promarkers from my friends at Letraset to give away newly packaged & in some great colours. So what do you need to do to win this set? Keep popping in each day as I have more sets to give away. Wow Jak, this is beautiful! Your colouring is gorgeous, especially her tutu!! What a wonderful card. Thanks for sharing. Great Card! thanks for the sharing, i love your colouring. Jak~you have done another lovely job on this card. May you have a wonderful week! Thanks for the chance of winning promarkers. Never owned them before. I'd love to win these and give them a try. Seems like a lot of people like them! Thanks for a chance. Another beauty from you Jak, Love Mo Mannings digis they are always so cute and true to life! Just nipping over to share the news with my FB friends. Stamp is darling; colors are great; and overall card is beautiful. Love the card and the colouring looks super...also love your punch are, when are you going to share more of that with us? Don't ya just love the stepsisters image! As always, you'v done a fan-tab-u-lous job with your card. Thx for the chance to win some great blog candy - you're the best! Wow! You did a fantastic job as always on your card! The marker pack would be so nice! Do you give lessons on coloring in images? LOL! Thank you for the chance to win this great prize! Jak, I love your card and the little frog hanging upside down make me giggle here! Thank you for the opportunity to win some Promarkers. I have always wanted to try them, but they are not available here in the states like they are in England. I will post a link on my blog to your candy and hope you pick my name to win!! Thank you for the chance to win the Pro Markers - never have seen them for sale in Canada. Great coloring! The digi is wonderful! Not sure the advantage of Pro Markers vs. Copics? Interested in your thoughts. I have always used copics. Thank you for your generous blog candy opportunity! It would be fun to try them. Your card is great and would love to try these Promarkers. Warm wishes. This image is so precious, it looks like my family many years ago. You really brought them to life! So nice of you to offer the candy, thsnks so much. Another giveaway ! yay ! While I truly love your cards, your giveaways are great too! Thanks for being such a sharing person! Lovely card, cute image from Mo....very nice candy, tks for the chance. LOL those girls are hilarious! Love the expression on the little girl! Beautiful Card! Love the image of this little girls. I'd love to try Promarkers. The results look amazing. Beautiful card- you have the best job!!! Thanks for the chance to win! That is really a cute card thanks for sharing your talent with us. Love all your cards,your coloring is always so well done. Mine is not too hot yet but I am getting better thanks to all your helpful hints,mabe a good set of markers would help too haha. That image is so cute! You certainly brought them to life! Beautifully done! What a gorgeous card, and thank for the chance to win. 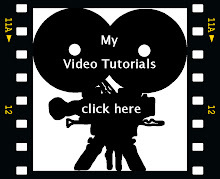 I always like your tutorials, your videos illustrations really help me. It is sweet for the candy, I do not have any Promarkers before; it will wonderful to win some. Thanks for the chance. Very beautiful card! I like your creations. I like colouring the stamps too. Wow Jak some more great colours. Thank you for the chance to win rthem. I love my Promarkers. Another amazing card Jak! I'm always thrilled when I see a new post from you! The chance to win such awesome candy is an extra perk! Isooo love your card Jak, but I also agree with you, Mo´s images are always sooo great and they do makes awesome cards, and with your coloring, it can only be perfect. Thanks for the chance to win these great markers too. I just wish I could colour as good as you, maybe I'm using the wrong pen's? Love the image and what you have done with it. Thanks for all your inspiration and the chance to win the markers. Keep up all the good work. JennyH. Gorgeous as ever Jak ... Looks like us Crafty Gals a few years ago lol. Hi Jak. The card is beautiful as usual. Always love your work & appreciate the blog candy! Lovely card and colours are fantastic. Thank you for giving me the chance to win the Promarkers. Jak your such an inspiration....fantastic card yet again ! Such vivid colours love the effect ....eyecatching ! 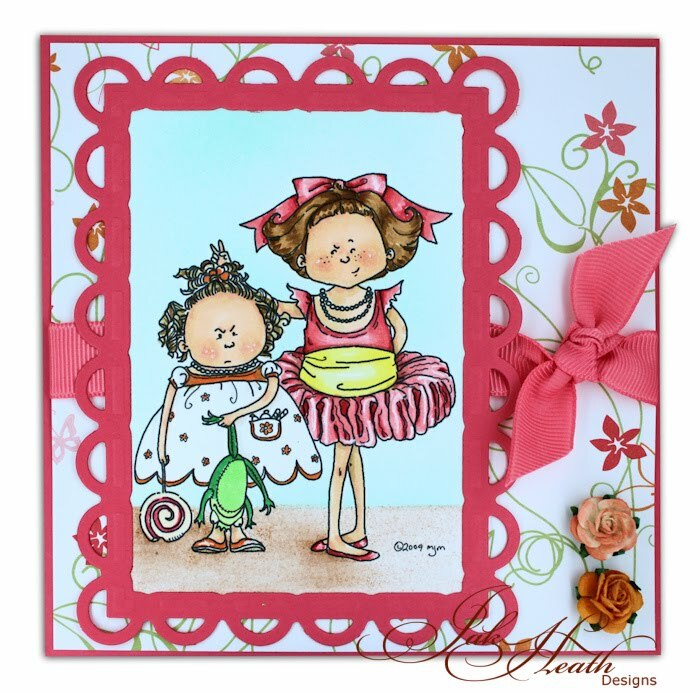 Just lovely Jak cute image and lovely colours.Ive just treated myself to those spellbinders and love the effect. Thanks for the chance of winning the promarker candy. I do have the cool grey and amethyst, but not the other colors in the set so would be happy to win it! Thanks for a chance, this candy is now linked in my sidebar. Thanks for the chance to win the Pro Markers! I love colouring stamps! Your card is so cute! Stunning card with great colours. Really LOve this image what fun!! I just had to chuckle at that image - reminded me so much of my two granddaughters aged 4 and 18 months. Thanks for brightening my day. Awesome card. Like the colors. Have never used the Promarkers so thank U 4 giving us this opportunity of maybe winning some. Oh Jak,I think this is my favorite digi,I love this girls,your card is gorgeous and thanks for this chance. Mo is one talented lady and you are too! Thanks for the giveaway chance! That's a fun card Jak, love the colours you've used too. Thanks for the chance to win the pens. Gorgeous card, Jak! Love your coloring! Fabulous card as usual Jak. They remind me of me and my sister, she was always taller than me though she was younger, she has strawberry blond hair, while I am dark haired, lol. And we were always fighting, poor mum had her work cut out for her with us two. Thanks for the chance to win the Promarkers, much appreciated. Thank you for the chance to win the promarkers - just love them. Love your card - it made me smile. Lovely card - thanks for sharing it with us. And thanks for the chance to win some Promarkers. Another smashin' card Jak and so funny - Little Princesses they are not!! I too would love to win your generous 'candy'. Thank you for the opportunity to win some Promarkers. I link on my side bar to your candy and hope you pick my name to win!! Fab card Jak and just love the image.Fantastic colouring.Wish i could put a card together like you! Pleased Katie's fundrasing is going well, I think of her. Thanks for the candy chance Jak- I love your blog and your cards. When are you appearing on C&C again ? great card Jak, they are definitely not made of sugar and spice by the looks on their faces. wow more prizes to be given away. I don't have a blog but am always telling people about the blog. all the best and prayers for katie. Awesome sweet stuff Jak..now these I like the look of thank you so much for offering this sweetner. Right little madams is so apt for this image. I've just started with pro markers so lovely chance to win. Thank you. Man, I wish I could color like you do! I'm about to give up on all but my sentiment stamps. Still so much to learn. Thanks for the fun! Another great card Jak. Your cards are always inspiring. If I could colour in half as well as you do I would be a happy woman. I love this image, I'm sure we can all relate it to some little girls in our lives! Oh, I love your card! That image is just priceless...reminds me of my two little girls, lol. Thanks for the chance to win such fab candy. Hi Jak. What a gorgeous image. Brilliant card. Love your card!!! Thank you for candy!!!! Love your blog Jak.Promarkers are the best. Thanks for the chance. Wow Super Candy Jak and I Love your card. Oh, I would love to have a chance to try these markers. Love your blog and all you wonderful creations, you are very talented. I have popped your fab candy in my sidebar,thanks so much for the chance to enter. Thanks for all the beautiful cards you are sharing with us. Hope to win. Jak you've done it again! Wonderful colours. Love those little stepsisters. The expressions say it all, don't they? 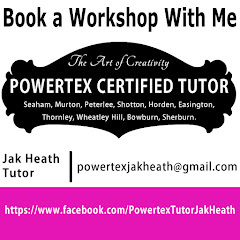 Thanks for sharing that and for a chance to win the Promarkers. Очигледно је да постоји много тога да знају о томе. Мислим да сте направили неке добре тачке у карактеристике такође. Наставити да ради, велики посао!